Since 1988, IMBA has been bringing out the best in mountain biking by encouraging low-impact riding, volunteer trail work participation, cooperation among different trail user groups, grassroots advocacy and innovative trail management solutions. 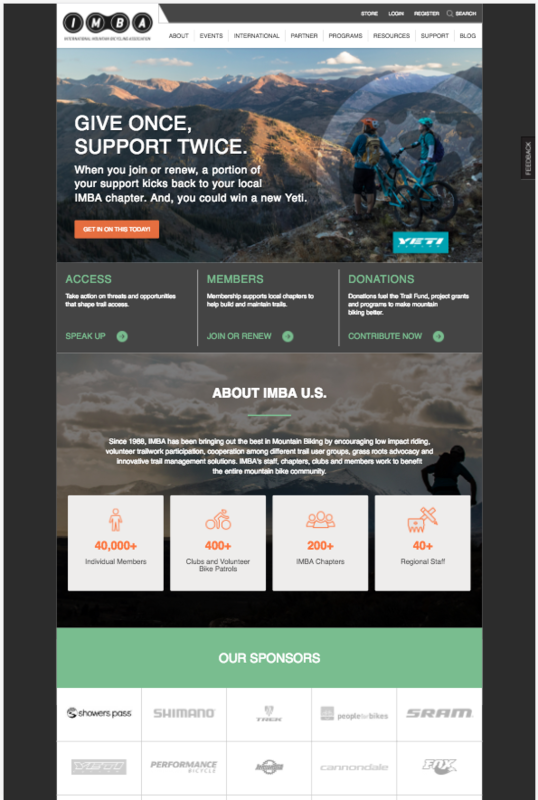 IMBA's staff, chapters, clubs and members work to benefit the entire mountain bike community. create a powerful voice for trails, public lands and management policies that welcome bikes. advocate for mountain bike access and acceptance nationwide. build sustainable trails and bike facilities to make mountain biking more accessible. teach environmentally responsible trail building and trail etiquette practices. inspire more people to experience the outdoors on bicycles. educate bike groups on how to organize and make mountain biking better at the local level.